Wet Mode. No, it’s not what you need to engage if you spill your no-fat soy mocha coffee drink on the carpets. 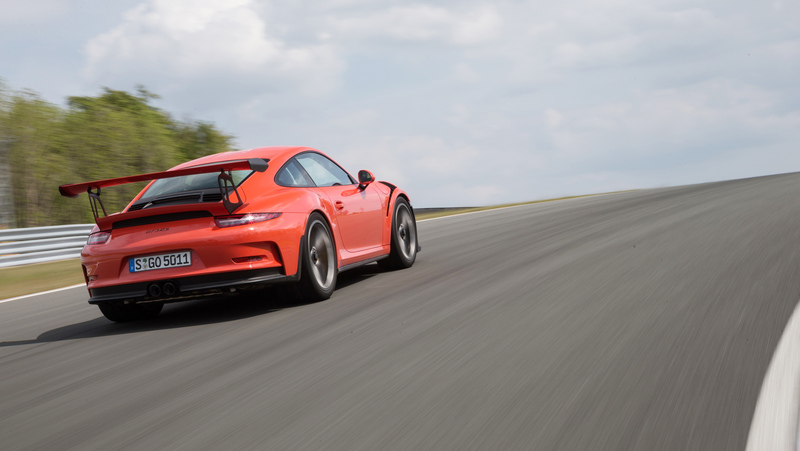 It’s what Porsche thinks will help keep you out of the ditch and on the pavement. 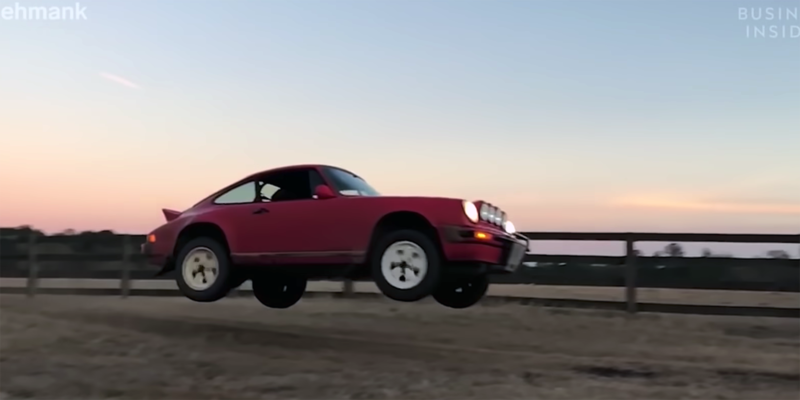 But how exactly is Porsche planning on throwing the laws of physics aside, damming the lowered coefficients of friction, and making the car handle better when things get damp? Listen up, because this is how it works. No, really. Listen up. 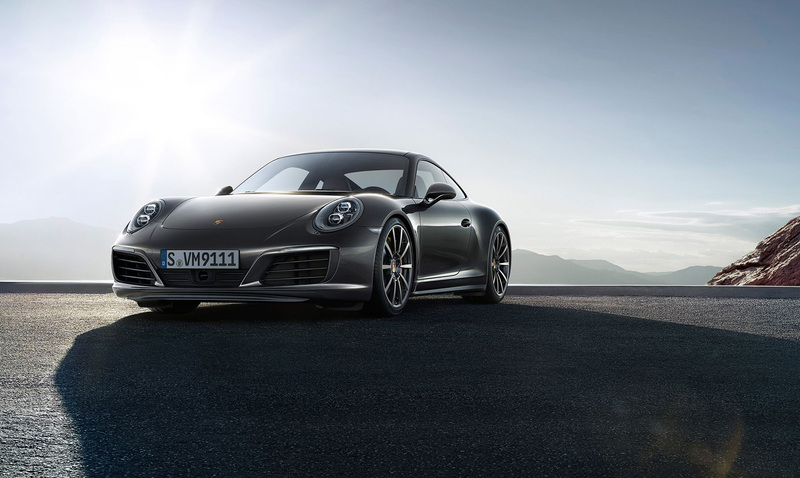 Because the 992 will be listening. It starts with sensors in the front wheel wells. Those sensors listen to the rain splashing. And while there’s no doubt that listening to the sound of puddles is relaxing, the car isn’t trying to mellow out after years of madcap performance. No, the 911’s computer is listening to determine just how much water is on the road. 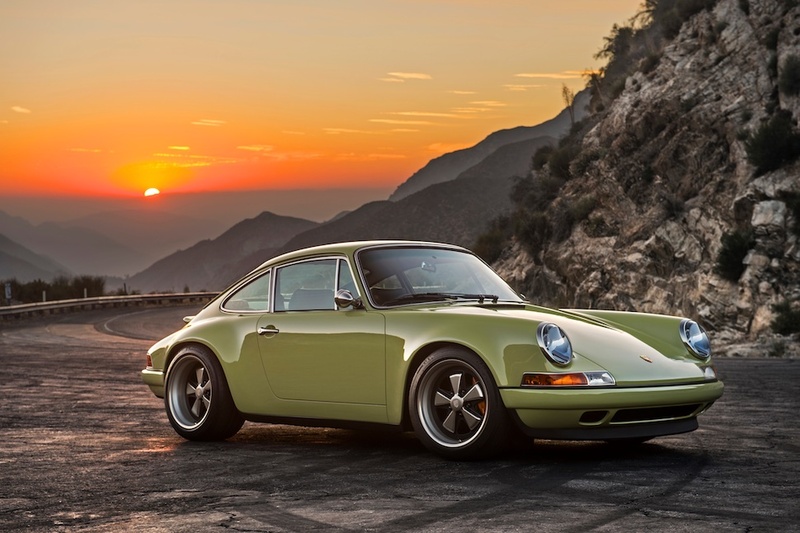 Porsche said that just by using their virtual ears they can tell how much water is on the road. The frequencies of the noise change based on what’s going on. Plus, if they hear fish noises, that’s probably a pretty good hint as well. If you’re thinking “how good can this be, after all my automatic windshield wiper settings can’t tell the difference between light fog and a monsoon,” then that’s a fair question. Those sensors look through the windshield, searching for distortion in the light passing through. But lots of things can affect the light. The new listening sensors are much more difficult to fool. They aren’t exactly just microphones. Think of them like a combination of a microphone and a radar parking sensor. Give me a ping, Vasili. One ping only. Well, not quite, but you get the idea. So what does the car do with that info? It raises its hand hesitantly and waits for you to address it. Then it suggests, suitably meekly, that the roads might be a touch damp, and that perhaps, should it please you, you might like to activate Wet Mode. If you do activate wet mode, the computers get to work. The system will do a few things to help try and keep you out of trouble. Though it won’t actually defeat the laws of physics as we may have slightly implied earlier. For a start, it calms down the throttle response. 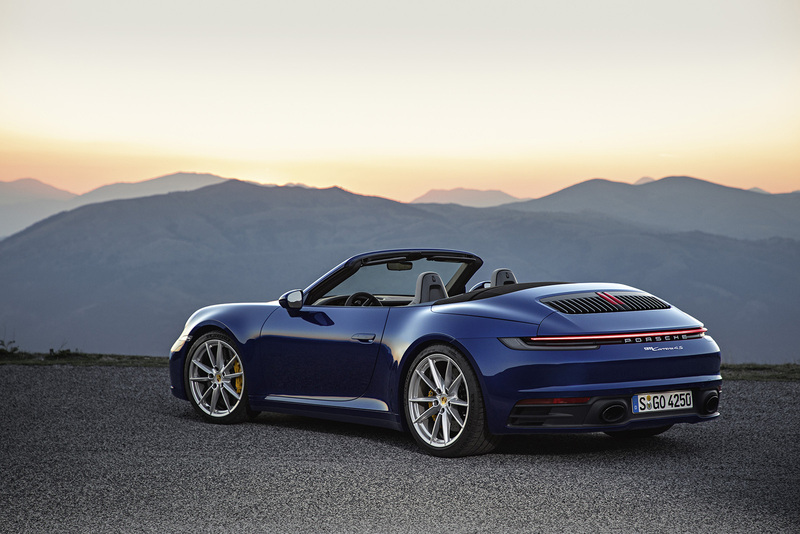 When you’ve got all this turbo torque, it’s easy to ask for a little too much, a little too quickly. So Porsche requires you to open it wider to unleash all the boost. And when you do unleash hell, it feeds it in a touch more slowly to keep the rear wheels from spinning. If you’re in a PDK-gearbox car, it’ll keep it in a higher gear. That, again, helps reduce the chances of the power getting to the wheels too quickly, keeping them from spinning. The system also reduces the limited slip rear diff’s lock-up. That helps stop it from biting and kicking out the rear when grip is regained. If you’re in an all-wheel drive 4S, more power is sent to the front wheels. 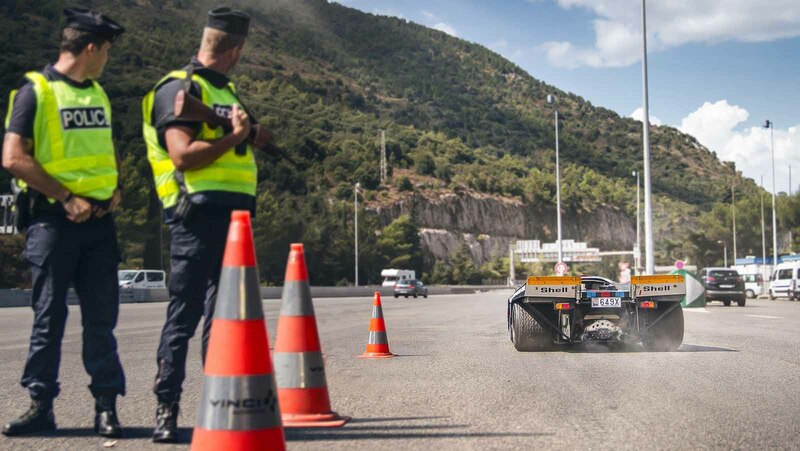 Not because front-drive is necessarily more stable, but because the narrower front tires are less likely to hydroplane than the massive rear tires. The ABS system will engage more quickly, because the car knows that traction will be easier to lose and more difficult to regain. Even the active aerodynamics come into play. Up front, the aero flaps open fully. In the rear, the spoiler extends to the Performance Position. Both of these give the car more downforce. That means more aerodynamic stability, helping keep the car inline even with less mechanical grip. That rear spoiler doesn’t normally come all the way out to play until over 100 mph. Finally, the stability control system is given a nudge. It, and the traction control, will be more eagerly waiting for you to mess up. And they’ll act more quickly to sort things out and bring the car back into line. 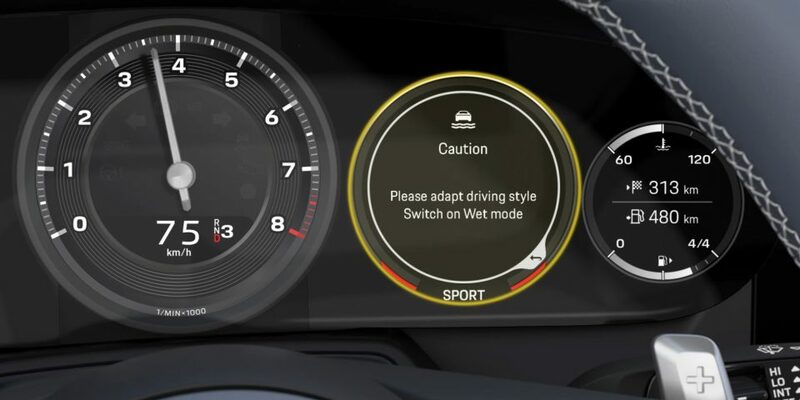 In short, Wet Mode helps you drive in the wet by making sure you can’t drive like an idiot. Sounds like something you could have just done yourself. But clearly, we’ve shown that we’re not, as a whole, capable of being responsible behind the wheel. So we get Wet Mode. But you have to turn it on, and you can turn it off. Smarten up, or maybe next time it’ll be mandatory.